On November 19, we’ll be issuing a double CD version of Yo La Tengo’s widely hailed ‘Fade’ ; the bonus disc (track listing below) features an amazing array of ‘Fade’ outtakes, extra tracks and alternative versions, plus there’s a download card for the “Stupid Things” (12″ version that preceded the album), plus the “Oriole” b-sides from the recent “Ohm” 12″ triple-pack. (ADDENDUM : the deluxe edition of ‘Fade’ will also be available on iTunes on November 19). On November 5, we’re issuing a 7″ of “Super Kiwi” (recorded during the ‘Fade’ sessions with John McEntire), backed with a cover of the Beach Boys’ “A Day in the Life Of a Tree”. Is “Oriole 5” the same version that appeared as the deluxe vinyl download track? Or is this the 5th version of the track to be released (one from the deluxe vinyl, and three from the “Ohm” 3×12″ set)? So no Terror Twilight deluxe re-issue but a deluxe re-issue of an album that’s been out for less than a year? Matador has really messed up priorities. When and if there’s a ‘Terror Twilight’ deluxe edition, we’ll certainly be singing about it from the rooftops. Or more likely, we’ll use Twitter. EIther way, we’re not the type of label that just slaps records together sans the participation of the artists. I suspect you’d prefer a Pavement reissue that featured band input and took way longer than one supervised by a craven, ca$h-flow minded person like myself. But where are our priorities are concerned….Sir, I will defend to my last breath your right to be wrong in public. But you’re still wrong. The reason we’re doing a deluxe new edition of ‘Fade’ 10 months after the album came out isn’t because it’s gone out of print (obviously). It’s more about trying to keep the album on shelves / in everyone’s consciousness thru the end of the year, Xmas, etc. If adding the extra goodies makes the 2XCD a more attractive proposition for some hypothetical Yo La Tengo fan who (just for instance) owns ‘Electr-o-Pura’ or ‘And Then Nothing Turned Itself Inside Out’ but hasn’t bought a contemporary YLT album in a long time, we’ve done our job. I’m certain there’s at least a couple of individuals like that out there, and clearly we’re going to spare no expense to TARGET BOTH OF THEM. sorry, did you say something about priorities? Thanks Gerard – I am one of those two people. 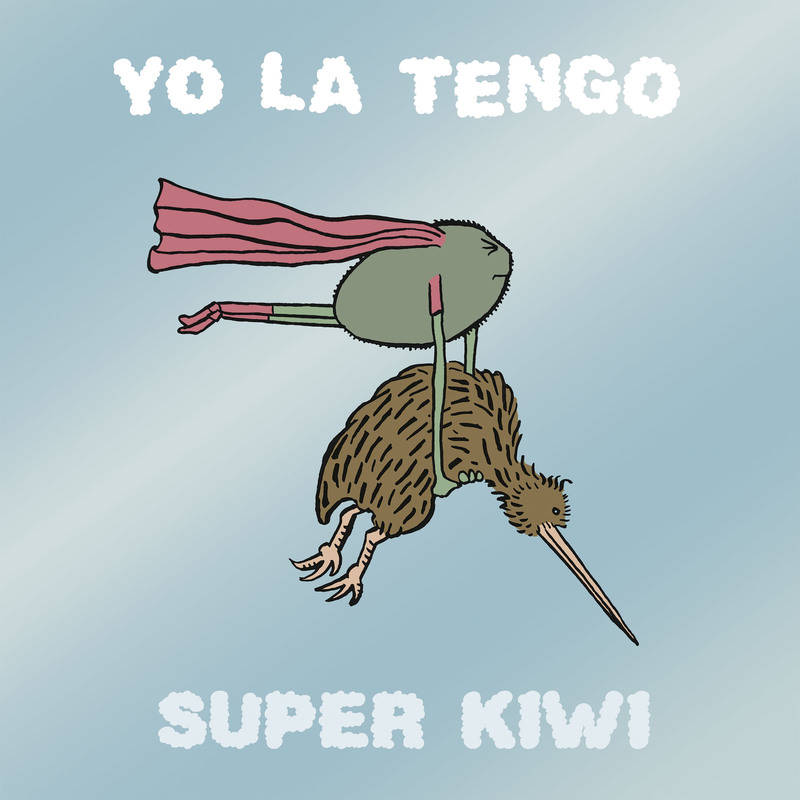 And I’m from New Zealand, so the band have cleverly targeted me with a track called ‘Super Kiwi’. I will have to purchase now! Fade was a crappy album. Now you want us to buy it again just for the bonus tracks? No way am I paying $14 + shipping for an album I didn’t even like in the first place. I’d consider it if I could buy the bonus tracks separately for half that amount. while you are entitled to your (screwy) opinions, we are very thankful that to date, few persons have described ‘Fade’ as “crappy”. But just so there’s no mistake, our target audience with this double CD is not persons who already own the album (and certainly not those who own the album and don’t like it). That said, we appreciate your offer to purchase extra material from an album you profess to dislike for half price. Many people will insist that prerecorded music is devalued these days, but if someone is willing to pay that much for outtakes from a record they can’t stand, we should be in pretty good shape. Thank you for saving the music business! I probably should’ve mentioned this sooner, but the deluxe edition of ‘Fade’ will also be available on iTunes on November 19. So if you’re only interested in say, the tracks from the bonus CD, you’ll have the option of purchasing them individually. Gerard, you’re fricken killing me here. Fight the power. Or something. Now, as long as we’re arbitrarily and rather selfishly asking for self-indulgent goodies on someone else’s dime, how about a 6CD box set on the Sad Rockets? Oh, for heaven’s sake, what’s the purpose of bitching about the price of something you don’t want to buy? Just punch the ticket on your My Bloody Valentine bootleg and enjoy what you’re used to. 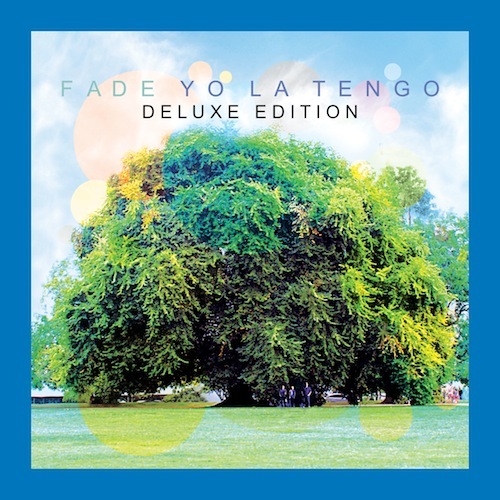 Fade is an awesome record, and although I’m a die-hard Yo La Tengo head, they have never failed to impress me, and not by always releasing something that sounds like their last release, but constantly pioneering new territory. This is the reason I love this band, because I love that they are an ever-changing group, that still maintains the sound and chemistry of their roots. By the way, I just picked up Pavement’s ‘Brighten The Corners’ Deluxe, for just $9 at Dimple after mark-down and card discount, thank you very much, and oh man, this is a great re-release! Being that Terror Twilight is the weakest record put out by Pavement, I’ll be patient in the bigger one. I love that Matador releases these big package re-releases of so many records I love. Clearly, this record company knows how to get us to want to buy their products in a world of free downloads! Viva la Matador! “Perfumed” double-LP + bonus or bust!! Will there be other options than iTunes to get those extra tracks for people who bought “Fade” already? I prefer other options to iTunes. Yes, they will be available on all digital services. And of course they are almost all available as vinyl a-sides and b-sides, or in their various previous existences as digital or territorial bonus tracks.